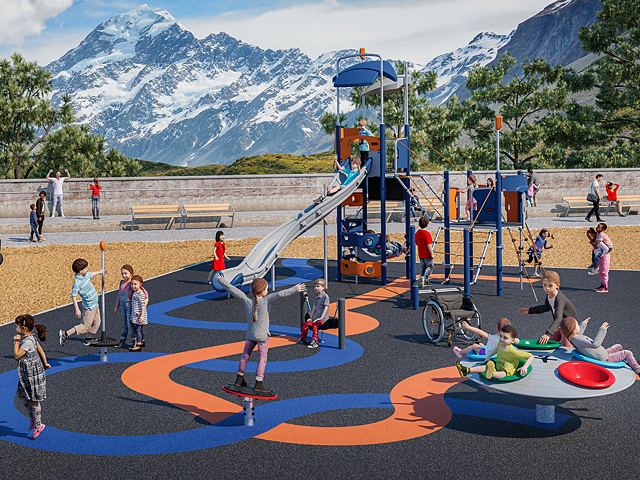 Bringing together a series of elements from their extensive range, Moduplay has created a timeless and enrapturing recreation and play area for kids and adults alike. 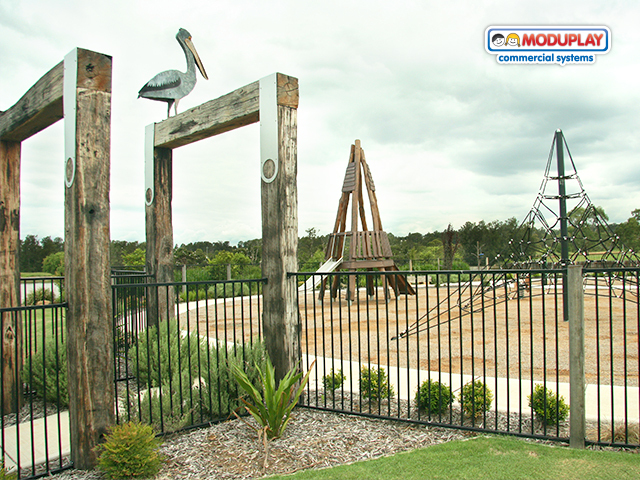 Moduplay has been delivering successful play area projects for over 25 years. 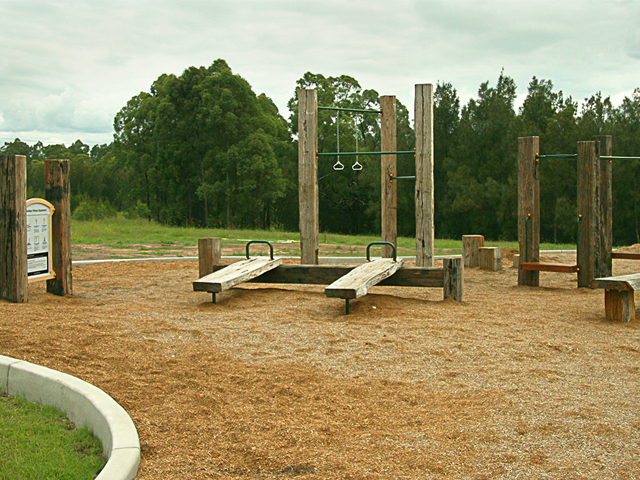 One great project recently undertaken is their playground and recreation area at a Maitland area estate. This Maitland area estate is a unique residential land estate which was previously the site of a disused golf course. 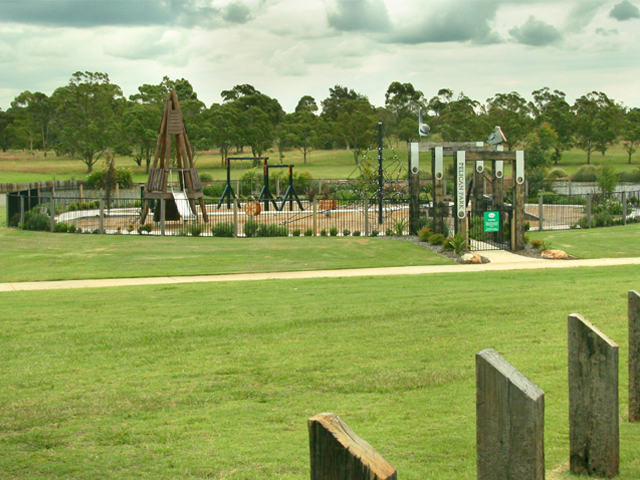 Over half the estate is dedicated to natural open space with 11 parks, playgrounds and recreational areas as well as expansive waterways interconnected by cycleways and walking tracks. 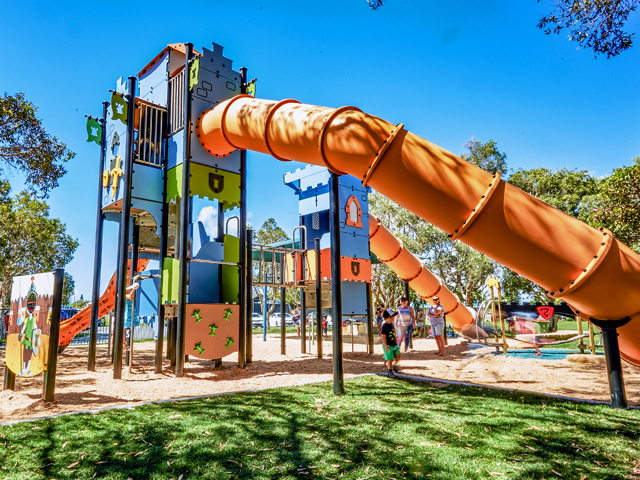 The developer of the estate realised that the best way to sell land is make it attractive to the target demographic (in this case young couples and families) so beautiful playgrounds in prominent positions were commissioned from Moduplay to fulfil this need. 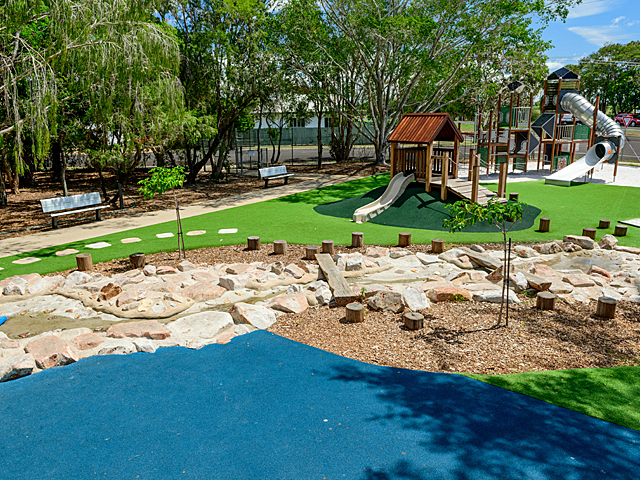 Moduplay used a combination of their specialised product ranges to produce fun and educational play and recreation areas for the growing community. 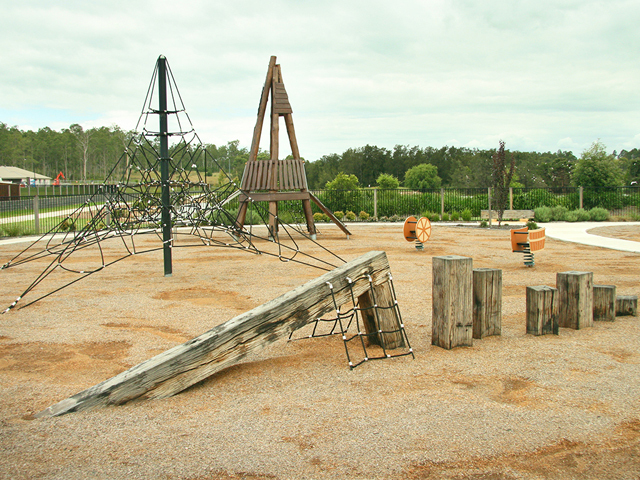 The series of play areas within the development were fashioned with a specific key feature in mind, the use of recycled bridge timbers. 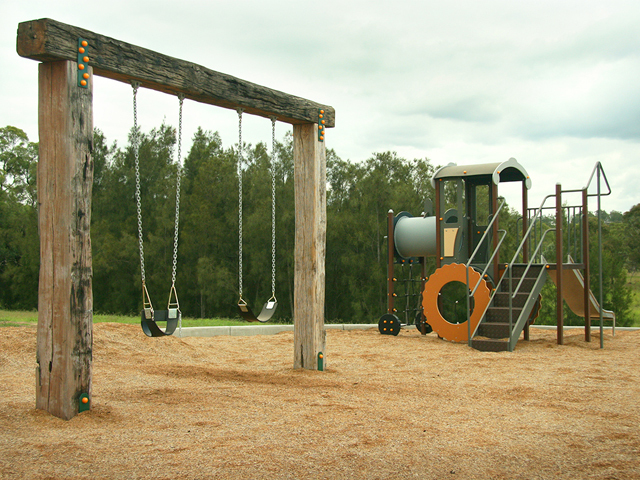 These timbers were reused in a variety of tasteful ways across the play and recreation areas to bring an eco-friendly and unique design element into the estate. 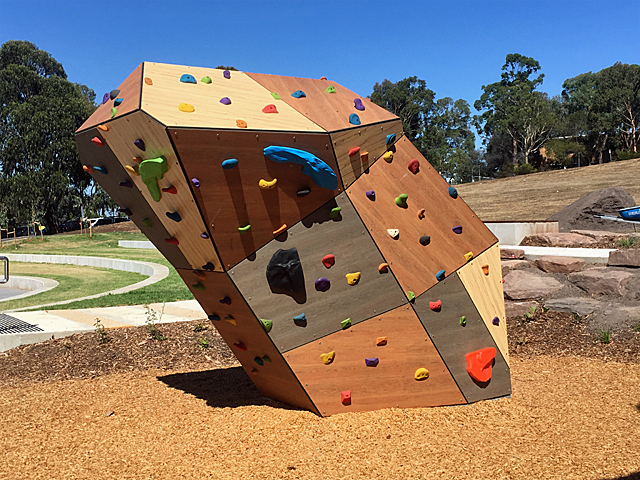 Elements of Moduplay's extensive fitness range were included to meet the bio-mechanical and physiological needs of the age and ability level of children, ensuring that the right mix of activities were included to suit the younger demographic for a better, more useful result. 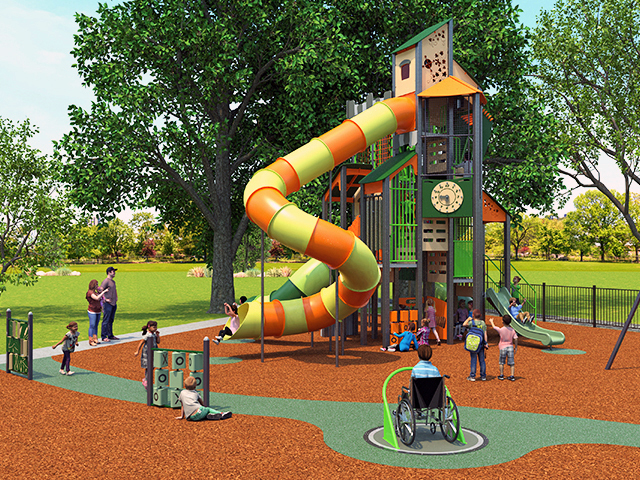 Additionally, the combination of the Skyclimber and Bushwood play towers worked together to create a space that offers a beautifully crafted play atmosphere of natural tones and textures that children instantly connect with. The Moduplay Adventure Series ‘Steamer’ was also featured. 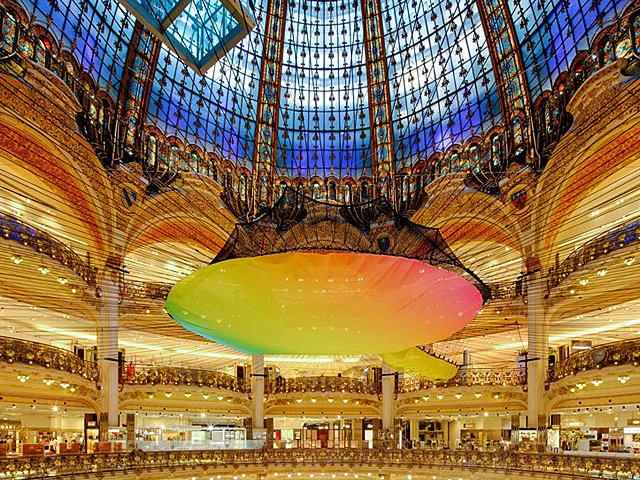 A clever interpretation of the age old Steam Roller playgrounds from generations ago, this equipment is designed to fire up the imagination of children as they play out the life roles they dream about. With plenty of interactive activities to keep them busy, the children can safely and happily play on this one. These beautifully complementary elements have been drawn together and assembled in such a way that residents of the estate and their children will enjoy them for generations to come.